Where wheels have freshly sliced the April mire." A couple of things. One, is that the blog now has a Labels and Categories list on the right side of the page that will help anyone interested, to find specific information in the archives. It will get fine tuned in the next couple of weeks. Two, I received a request to include more photos of the Container Butterfly Garden, which have been sorely absent. I'll start posting photos of it in the upcoming newsletters. Butterfly season is happening pretty much in earnest now here at the Butterfly Container Garden. I'm seeing Painted Lady, Gray Hairstreak, Gulf Fritillary, and of course, Monarch butterflies. Several broods of Monarch cats have cycled through already. I found one chrysalis hanging from a pot rim a couple of weeks ago, and last week, a freshly eclosed Monarch adult was spotted still unfurling and pumping its wings, soaking in the sun's rays. With the early show of Gulf Fritillaries here, I earnestly desire to see some of their cats host on the passion flower vines growing in the garden, these plants being the exclusive food source for this butterfly species. I saw no cats on the vines last year, but I didn't see many fritillaries either. Perhaps that will change this season. Many folks mistaken Gulf Fritillaries for small Monarch butterflies, but they are a distinct species. 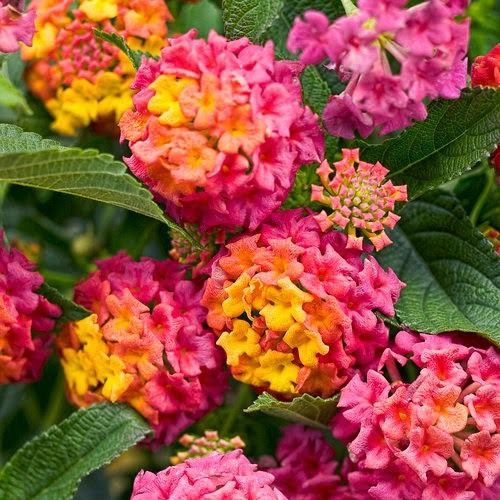 If Buddleia is king of butterfly plants, then Lantana would be queen. 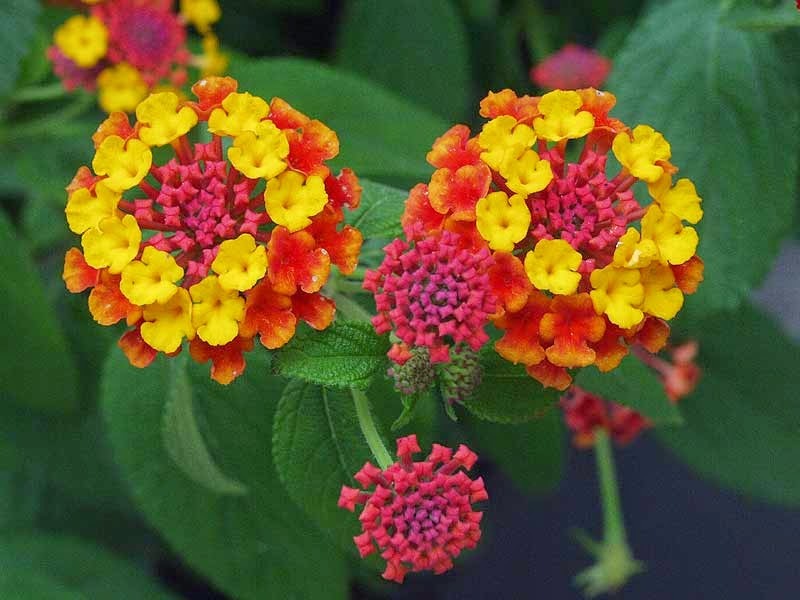 Lantana is one must have flowering butterfly nectar plant that deserves prominence, or at least some space in a butterfly garden. The two most popular species of Lantana are Lantana camara and Lantana montevidensis. My experience with both points to L. camara as a more successful butterfly magnet than L. montevidensis, but again, as with other plants, that may be attributed to butterfly regional preferences. One can see it's a member of the mint family: from the aromatic scent of its mint-like shaped leaves when crushed, to the general arrangement and clustering of their flowers. 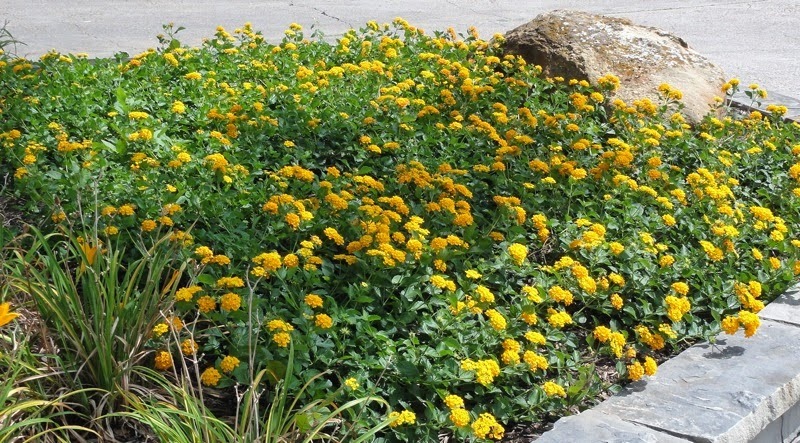 Lantana, both L. camara and L. montevidensis are drop dead easy to grow in SoCal gardens. Butterflies are attracted to it; skippers love it and swallowtails are constant visitors! Personal experience with the various lantana species and varieties has pointed to L. camara "Confetti" as being the most productive butterfly attractor I've come across so far. The "Confetti" I know has florets comprised of pink outer little flowers, turning to yellow ones in the center. 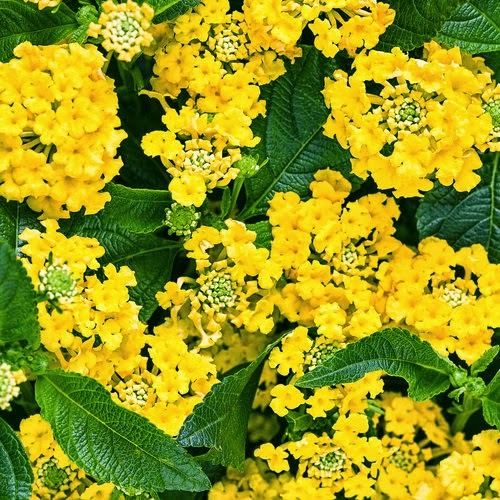 I've seen lantana listed online as "Confetti" with various other colored florets, but the above photo is what it should look like, not straying from the pink to yellow. Pretty much all of the other L. camara varieties will attract butterflies profusely, although I find this particular variety to be better at it. A side benefit of lantana is the berries it produces that attract a variety of birds. And speaking of berries, they will drop and tend to sprout seedlings in well irrigated gardens. These seedlings usually aren't many and pull out rather easily, but resist the temptation to pot them up or transplant somewhere else in the garden, as these seedlings don't come up true from seed, most times reverting to a wilder form consisting of sparse flowers and straggly growth. Swallowtails, and especially the various skipper species love lantana. If you live in an area with a sizable population of skippers, it won't be long before your shrubs are festooned with flitting, bouncing, and entertaining skippers. An undemanding plant, all it needs is average garden watering and full sun to part shade to promote better flowering and bushier growth (Don't over water! ), plus a little fertilizer periodically during the growing season. 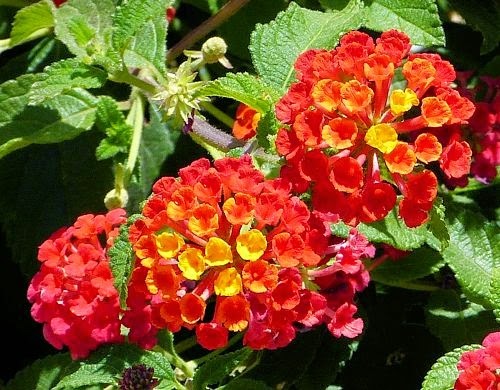 The sunnier and warmer, the better lantana grows. It's not too fussy about soil, but will perform better in more fertile environments. L. montevidensis being a prostrate grower, needs cutting back at the edges to keep it in check. Older plantings will eventually mound up in their centers, so if you wish to keep it looking uniform, a yearly topping will produce flatter growth. 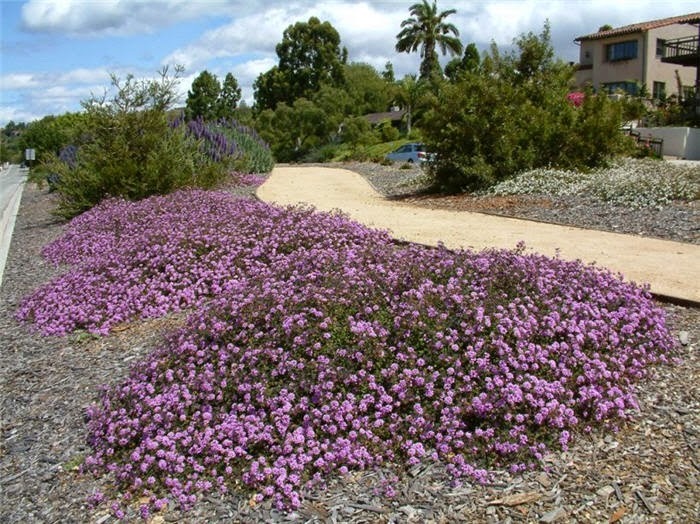 Quite drought tolerant once established, L. montevidensis makes for a colorful ground cover. Good for retaining slopes, as it tends to root where stems touch the ground, creating a fine mat of ground stabilizing roots. 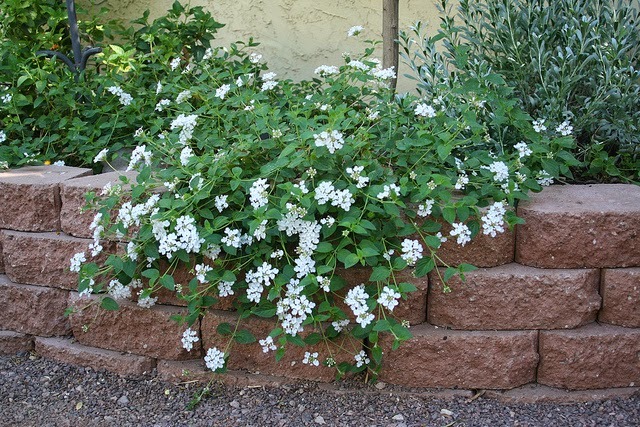 Planting it at the top of a wall and allowing it to cascade down the front makes for a visually stunning effect, especially against the color white. L. camara grows as a low to medium height shrub which works well as both an accent plant and a small hedge or border. Once grown to size, I trim mine back pretty hard in the late winter (around here the end of February), allowing it to fill back in bushier and loaded with blooms. Trimming it back a little throughout the growing season will only give you a green bush, as the flowers grow on the branch tips; that's why I cut mine back hard, allowing room for it to bloom continuously as it grows back out. 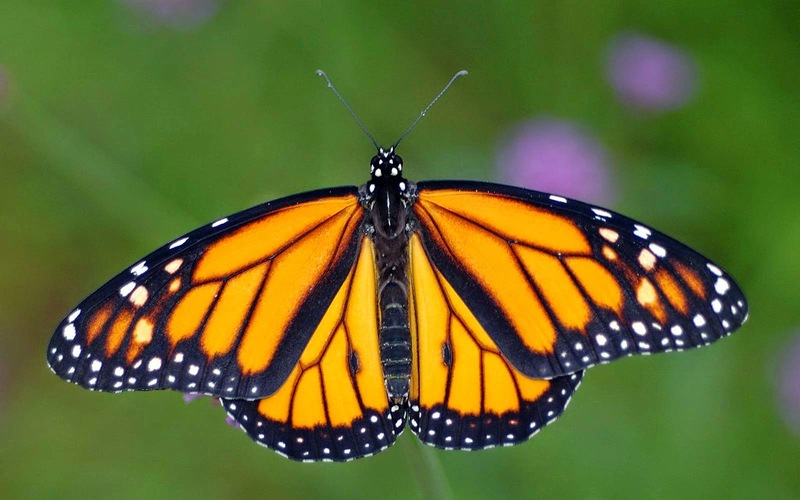 Average watering and occasional fertilizing during the spring and summer months is all that's needed to keep this plant happy as a clam, producing myriads of butterfly enticing flowers. 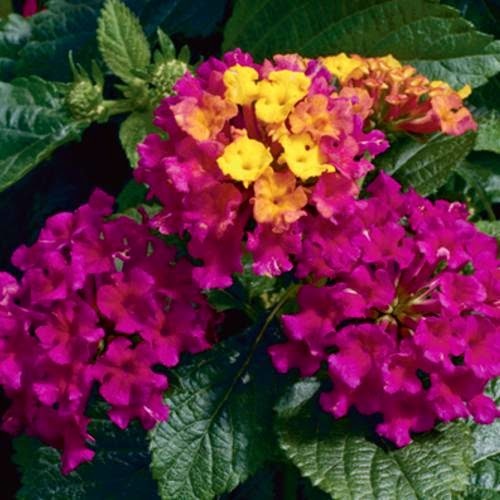 The different Lantana camara varieties come in a broad range of colors, mainly in the reds, through pinks and oranges, and ultimately yellows. There are a few whitish flowering lantanas available also now. Lantana montevidensis colors include purple, yellow, and now a clean white. Industrious plant breeders are beginning to introduce various other colors and multi hued varieties, along with L. camara/L.montevidensis hybrids. Heady times!